For years, exNavy SEAL Maxwell Moore has worked across the Middle East and behind the scenes for the Special Activities Division of the CIA, making connections, extracting valuable intelligence, and facing off against Americas enemies at every turn.And thennews of a potentially devastating coalition: What if two of the greatest threats to the security of the United States were to form an unholy al… liance? The Taliban is trying to exploit a Mexican drug cartel to which they supply opium as a means to bring the fire of jihad to the hearts of the infidels. 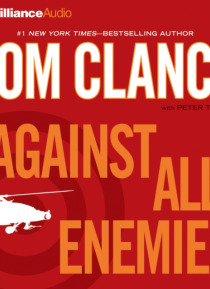 It is up to Moore, and his team, to infiltrate and dismantle the drug cartel, even as they hunt for those who would bring the ultimate terror and destruction to the streets of America.In a story that races from the remote, war-scarred landscapes of the Middle East to the blood-soaked chaos of the U.S.Mexico border, Tom Clancy once again delivers a heart-stopping thriller that is frighteningly close to reality.